Now you can enjoy laptop-like typing anywhere you take your iPad®(5th and 6th generation). 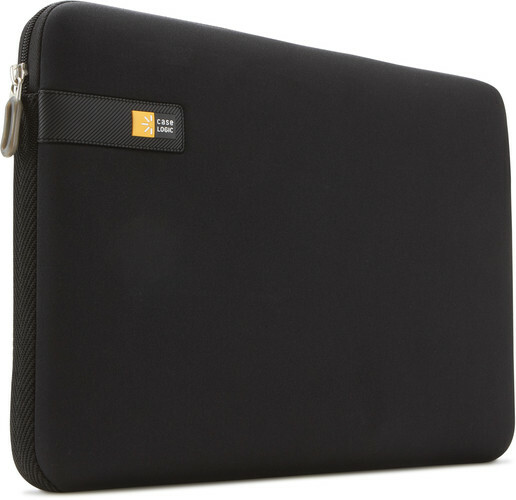 This all-in-one case has a slim and light design that makes it easy to use and carry around, all while keeping your iPad safe from bumps, scratches, and spills. No matter where you need to get your work done – a café table, desk, or even your lap – SLIM FOLIO locks your iPad at an optimal angle for typing or viewing and holds firm on any surface. 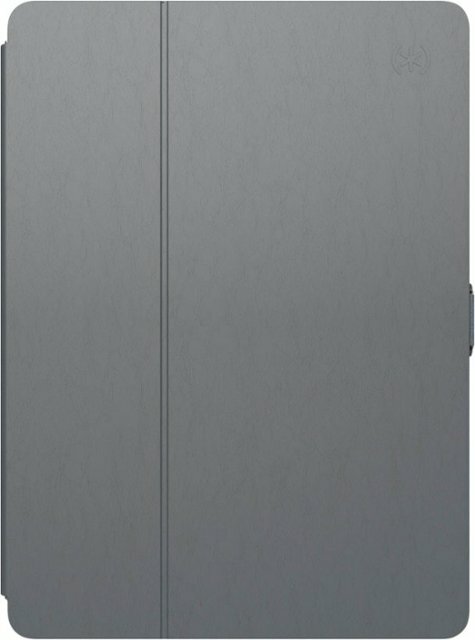 -Fits the 2017 10.5-inch iPad Pro. -10.5-inch iPad Pro case with 4-foot drop protection. Balance FOLIO keeps your iPad Pro safe from drops and bumps. -Adjustable stand. Whether you’re reading, typing, or just binging on your favorite TV show, our Balance FOLIO 10.5-inch iPad Pro case’s adjustable stand does it all. Raised edge protects screen. The raised edge around screen provides extra protection against drops. Recessed magnetic cover. Cover fits seamlessly into case for a slim design. Magnets wake and lock the screen when you open and close the cover. -Secure closure clasp. Locking clasp keeps the cover closed for added protection and helps keep the cover out of the way when using your 10.5-inch iPad Pro. -Protective interior liner. Soft liner protects your iPad Pro against scratches. -Durable PU leather. Easy-to-clean materials add style and color, and stand up to daily use. -Balance FOLIO fits the 9.7-inch iPad (2018 and 2017 models), iPad Pro 9.7-inch (2015), iPad Air, and iPad Air 2. 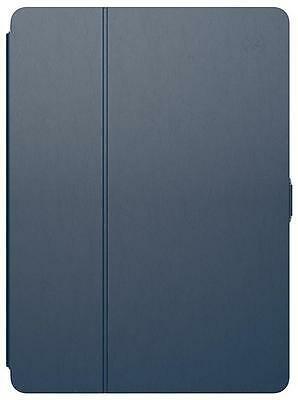 -9.7-inch iPad case with 4-foot drop protection. 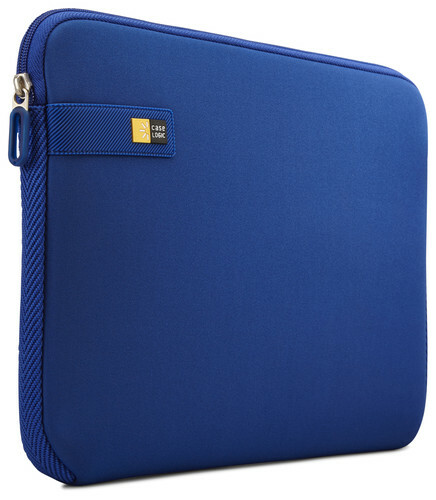 Balance FOLIO keeps your iPad safe from drops and bumps. -Adjustable stand. Whether you’re reading, typing, or just binging on your favorite TV show, our Balance FOLIO 9.7-inch iPad case’s adjustable stand does it all. -Raised edge protects screen. The raised edge around screen provides extra protection against drops. -Recessed, magnetic cover. Cover fits seamlessly into case for a slim design. Magnets wake or lock your screen when you open or close the cover. -Secure closure clasp. 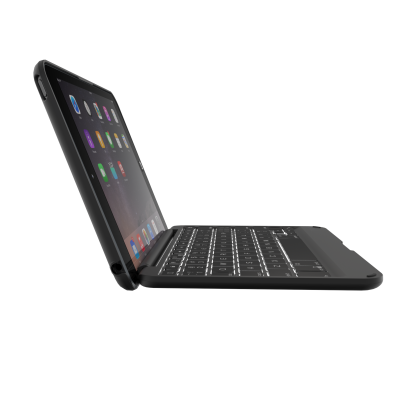 Locking clasp keeps the cover closed for added protection and helps keep the cover out of the way when using your 9.7-inch iPad. -Protective interior liner. Soft liner protects your iPad 9.7 against scratches. 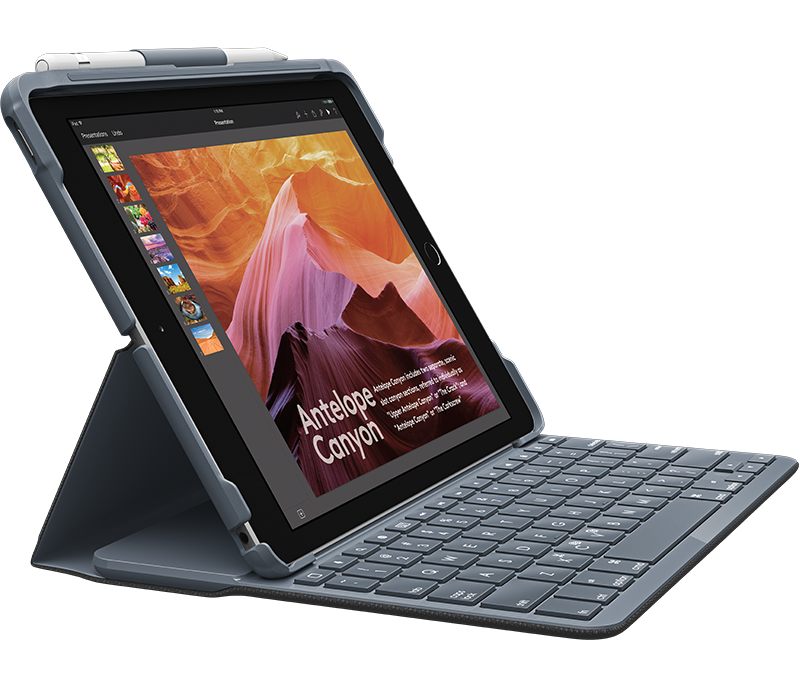 The ZAGG Folio has laptop-like hinge and keyboard provide optimal viewing angles and comfortable typing no matter where you go.